For the rest, please read the story on how I was selected to be a speaker on such an event, how I chose the topic and what thoughts and concerns I faced before the talk (you would never guess!). 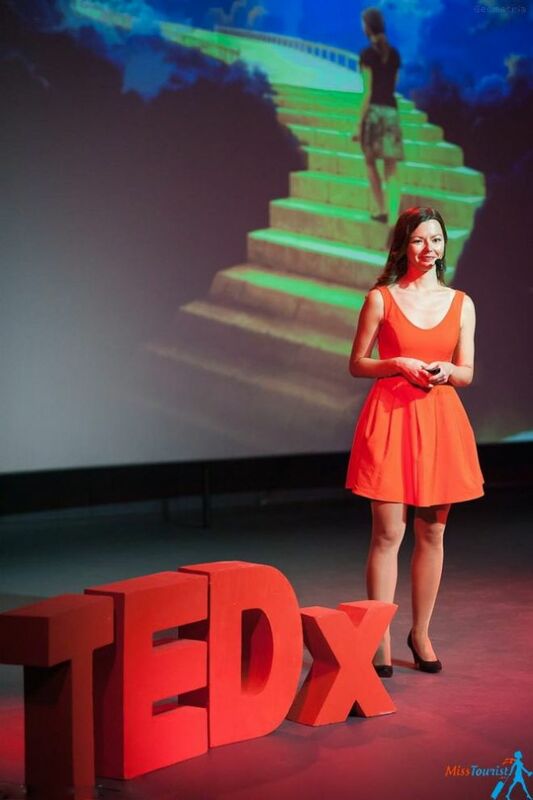 My name is Yulia, and I have a confession to make – I am terrified of public speaking. Sure, I am active on Instagram, Facebook and Twitter. But recording 10 seconds video is not the same as giving a TEDx talk, agree? By the way, I do not really keep my YouTube channel just because of that – I get super shy on the camera and I start mumbling something incoherent. I am not asocial or something of that sort, I like to have interesting engaging conversations with people, but speaking in public? No, thank you! 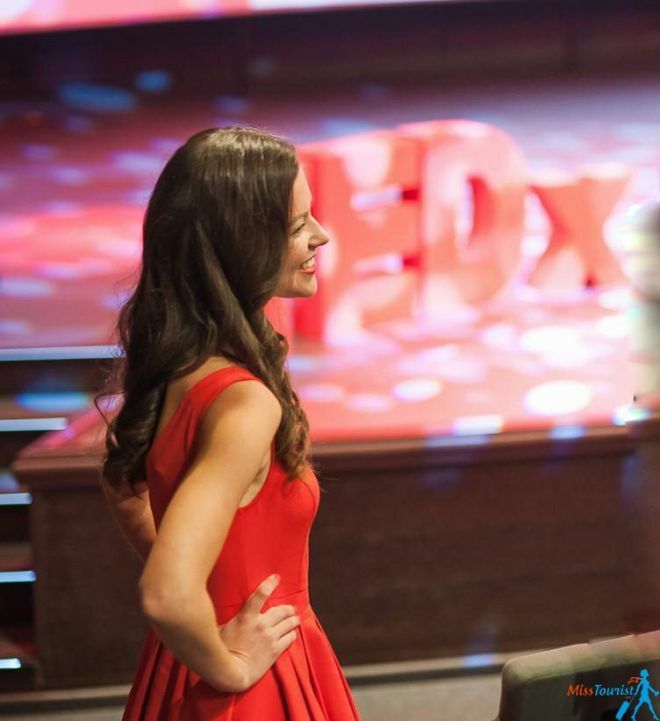 How did I end up being a TEDx speaker then, you ask me? Well, you see, it was secretly my dream (but shhh). 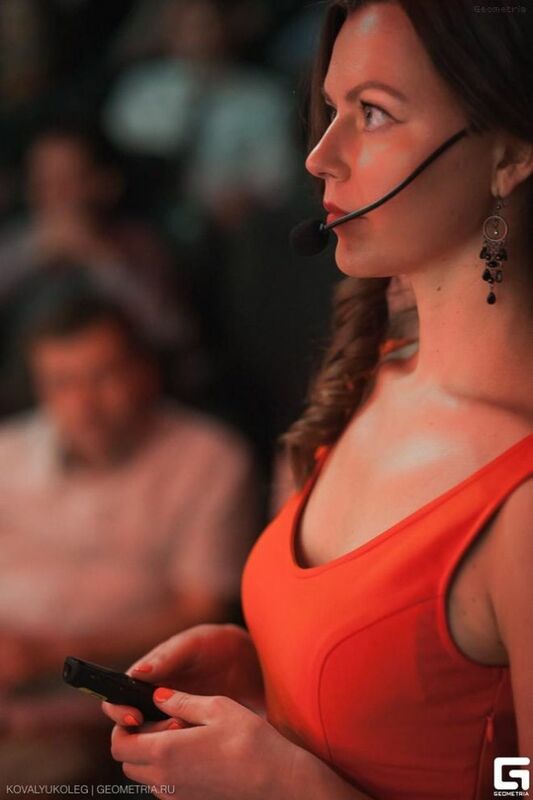 Every year, when I saw the call for speakers in my native city Yekaterinburg (Russia) I imagined how cool would it be to talk about something important from the stage there. But the dates never turned out to be good for me, and I was even happy because I had an excuse why I cannot apply. But this time, when I was scrolling my Facebook feed I saw the new call for speakers and the dates were exactly when I was supposed to be back home! You see, I am a travel blogger and I go home rarely, like once a year. So, I decided, this time I have no excuses and I should apply. Besides, there was still no guarantee they wouldn’t choose somebody else, right? One of the organizers gave me a Skype call (I was in Argentina back then), she seemed to like my story and idea. She told me she will get back to me when she will discuss my application with other organizers. Since then I haven’t heard from her and I figured – ok, they probably selected somebody else.. 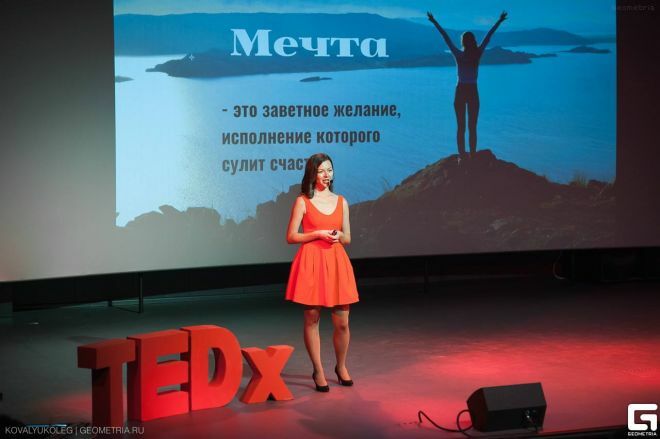 I already came back home in Yekaterinburg and was actually about to leave to my next destination, Paris, when the organizer gave me a call to ask me if I am still interested to be one of their Tedx speaker. – Umm, I don’t know… When is the event? – It is on the 22nd Of April, in a week. – Did you buy your tickets already? – Can you change your dates a bit? – Great, then you are in! We are waiting for you for the rehearsal tomorrow, please be there at 7 p.m.! That is basically how it happened, no jokes. Mom, I will be a TEDx speaker! Wait whaat? 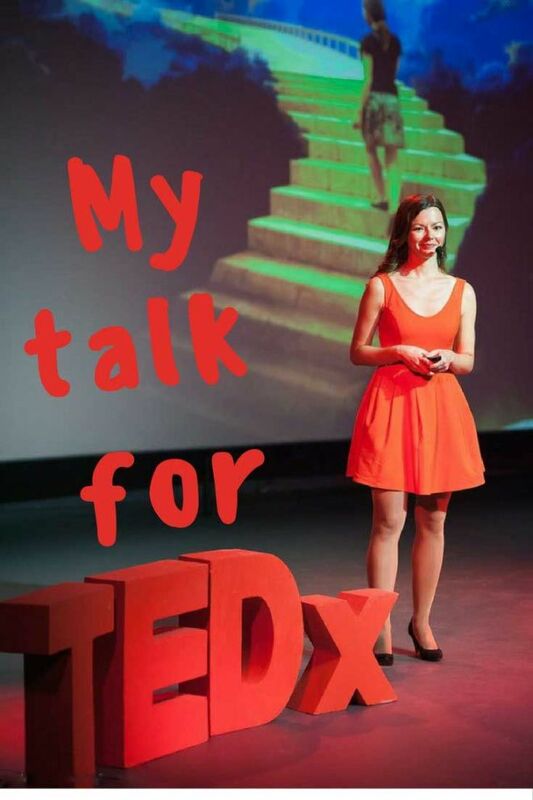 I will be a TEDx speaker? But I don’t even know what I am going to talk about, what am I about to do? I don’t even have an idea worth spreading! Honestly, I was panicking, partly because I was absolutely not ready, and partly because I was terrified of public speaking. The first rehearsal was a total fail. Me? Well, I only I had a fast draft of my speech, what I could do in one day? Back then I thought it will be about traveling. Something about how cool it is to travel the world and how everyone should do it, how it opens up your mind etc. I went on the stage and said something that was absolute impromptu, about how travel is affordable nowadays and how everyone should do it. But to me it was a really miserable mumbling improvisation. 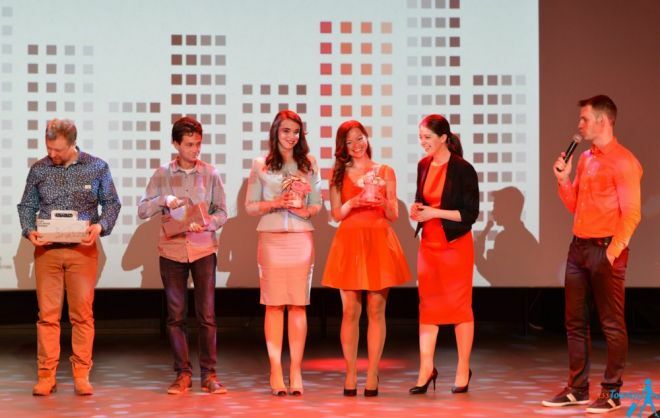 “OMG, it was a complete fail, I will never be a TEDx speaker” – I thought while getting down from the stage. 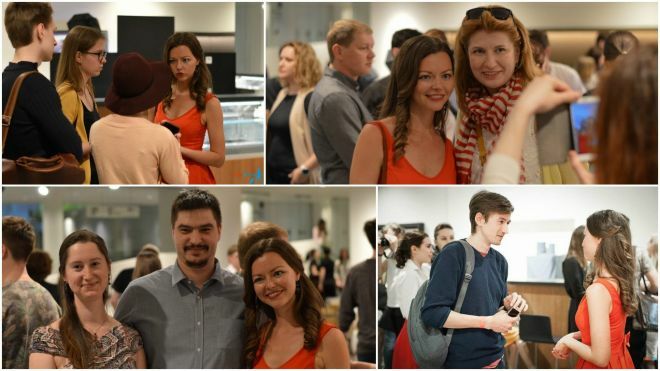 Luckily, the organizers of the event were really understanding and supportive (thanks so much, girls!). They knew I had an interesting story to tell, I just had to let out the idea of the talk and have some time to properly prepare it. “I went to a couple of countries, I did not like traveling. I like to develop myself in the field I am working in – banks and investments. There are people, even if it is hard to believe for me, that do not like to travel. How can you not like traveling?!? And then I thought – traveling is like eating a donut. If you don’t like it, I can’t possibly convince you that donuts are tasty even if I give a great talk about it on the stage. You just don’t like it. Period. Talking about it would be a waste of both of our time. No, I wanted to reach the hearts of everybody, and moreover my final aim was not to make people travel. What was it then? Maybe I should give a talk about not giving up on your dreams? I know a thing or two about that! But there are tons of motivational talks out there about pursuing your dreams. And they are all great! 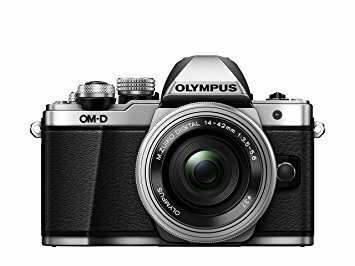 How can I stand out? In this case I am special, because I am one of them! I was born in the same city, probably went to the same university, I had the same opportunities (or even less than some). You can hardly relate to a successful lifestyle coach from Miami when you live in an industrial city in the middle of Russia with its Russian realities. The advice of those successful speakers won’t be heard as good as from somebody with a similar set of skills and identical background. And yet, I achieved my seemingly unrealistic dream. They will totally relate to what I said because I am one of them! I won’t leave them a chance for excuses! I am no Tony Robins (it’s not like I have anything against him, he is a great speaker, way better than me). But in this case, I have an advantage, Tony – I am like them! And you – you are an idol, you are something perceived as unrealistic and unachievable. You see, these people who are just like you and me – my TEDx speakers crew! I will tell them about the importance of dreams on my own example. And hopefully, the ones that will listen carefully, will get motivated and believe in their own dream. Surely, it does not have to be traveling, it can be anything they dream about! How cool would it be if I could motivate even just 1 person in the audience to pursue his/her dream? It is worth it working day and night for a week to prepare my speech! I actually took my job serious and attended private lessons of public speaking. The teacher corrected the structure of my speech, my body language (totally forgot about everything when I got on the stage tough). Even if I feel like it was better during rehearsals, without these lessons my speech would be incoherent. The video is about the difficulties I went through to achieve my dream to travel the world. Back then I was a little naive girl that did not even dare to dream about anything like this! Nevertheless, step by step I got where I am right now. And if I did it, guess what, – you can too! It seems like people liked my speech. I had a queue from people wanting to ask me questions. They took pictures with me, and one guy even ask for an autograph! Watch this speech and please let me know what you think! Share it with your friends too! Your feedback means the world to me! really great! I read all the subtitles 🙂 My son loved to travel – he had been to over 22 countries and he was only 27! He was killed October 15, 2016 as a passenger in a vehicle rollover, driven by a driver now charged with dangerous driving, while at work at the job that supported his love of travel. He worked to live. I miss him with all my heart and soul. I put aside travel when I was young – I moved a long ways from home but then married, raised a family and stayed there, horses became my passion, but I still wish I had travelled more. After my son died, I too realize, that life is too short to not see more of this world. My husband and I plan to travel to some of the countries he loved, Croatia, Hungary, Holland, Australia and beyond, often to the large music festivals – Tomorrowland, Defqon 1, Hard Island and others. That is how I stumbled on your travel blog, looking for different destinations. Thank you for confirming that the path may not be easy, but following your dream is a great reward. I am so sorry for your loss… I can’t even imagine how much courage it takes to go on and be positive. I am so proud of my readers, thank you for your comment! If you ever need any advice from those countries, let me know, I ve been to all of them, will be happy to help! We went to Iceland last spring, it was really amazing! Thank so much for your work and info! It was my second time i have visited Iceland but after reading your inspiration and want to jump on the plane again. 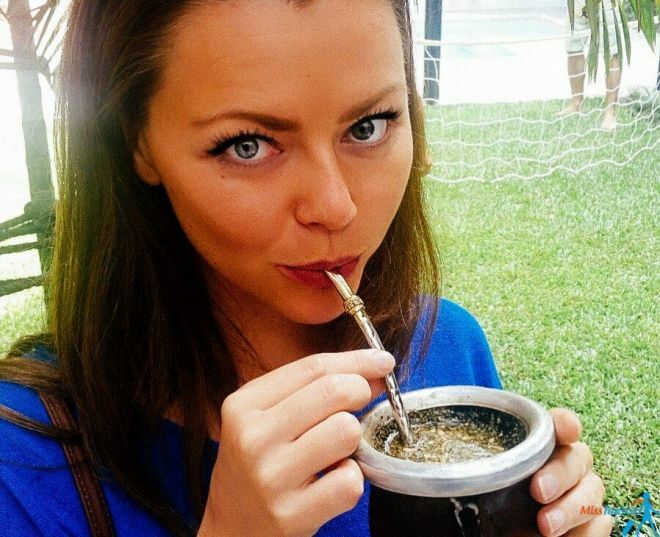 Wow Yulia, what an inspiration you are! That’s so amazing you spoke at TEDx! And good job you went for it. I hate public speaking too as I’m quite an introvert but never said no to an event where I could present something important. From the brief chat we had in Costa Brava TBEX 2 years ago, I had no idea about your life story, and it was really inspiring to see what you had to overcome to get where you are today. Keep on rocking! I am happy you liked my speech! Even if there are people that had to go through much more than me to achieve their aims (I understand I was really privileged to receive education as a kid, have an access to water etc. ), but i hope that my speech was still inspirational for some! I loved your video. I loved this post. Period. I am Laura from BEST Athens, remember me? Biiiiiiiiig hug! call me when u happen to travel to Spain. I’ d love to meet u! Hey Laura, ofc I remember you! 🙂 Nice to see you here! 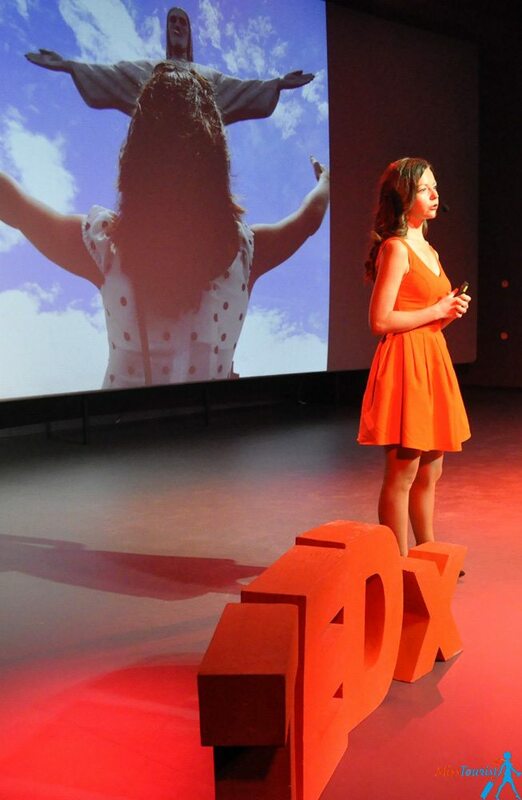 Dear Yulia, I listened to your TEDx speech, I was impressed by your motivation and determination. You have managed to go a long way and appear at the place where you really dreamt to be. I think only some people achieve the same, others get lost at the beginning or got talked out of their goals by their friends and family. And I have a question, maybe personal, but I will appreciate if you reply. Do you plan to have a family of your own and settle down at some place? Do you think it’s possible to combine your way of life with being a wife and a mom? Thank you, it will be nice of you to share your point of you to this question. I surely plan to have a family and kids at some point of my life and I see no obstacles for that given my life style. There are many couples traveling with kids (i think it is a great way for the kids to learn about the world!) but it very possible that I will want to settle down at some point and travel not constantly, but from time to time. I finally found time to listen to your TEDx talk, it was wonderful, and I’ve reposted it on Facebook. I know many friends who would draw inspiration from your story. Full credit too to your companion, Mr Photographer, who, time and time again, astounds me with incredible images of your travels. After all, I first discovered you on Instagram, a visual medium. Swing by to Ireland sometime, we’ll extend a hundred thousand welcomes! Well Done Yulia!! I am almost 50 years old but feel like I’m, at most, 18 years old. I have not exactly focused on my dreams and am now trying to change the way I think about life. I was able to have the opportunity to travel to Egypt despite the concerns of my friends who gave a bit of a hard time. I loved the people of Egypt more than the Pyramids. The events that led up to my travel were just happening so fast, and next thing I knew I was actually flying to Egypt. It was never a dream of mine, I would have chosen a South American country before a country in Africa or the Middle East. I am trying now to keep that adventurous spirit alive and to travel to Egypt again or Israel or possibly an Asian country. Thanks So Much for Sharing Your Experiences!! Hello Gaye and thanks so much for your comment! You should definitely keep up with that spirit, i noticed that the more I travel the more I want to continue. Something that seemed unbelievable and hard before is just normal now. PS South America is something amazing, like a story you read in a book, an adventurous movie that you have seen, but for real! I saw your video and it’s inspiring. 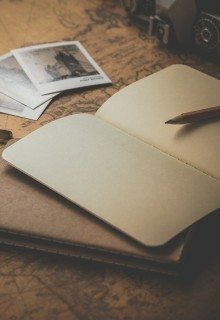 I have a question for you, do you used to travel alone in your starting years? How do you used to stay safe being a woman in all circumstances? Please give me your hacks for traveling alone. I’m a girl and want to travel the world. I traveled alone and I still do sometimes. I would suggest starting from a relatively easy country where you would not e scared to travel as a solo woman – my first country was Australia and I loved it! After that experience I understood there is nothing to be scared of, in fact it is much more fun this way as you meet so many people during your travels.